Portraits of flies and gnats. Mosquito (from the Spanish or Portuguese meaning little fly)] is a common insect in the family Culicidae (from the Latin culex meaning midge or gnat). Mosquitoes resemble crane flies (family Tipulidae) and chironomid flies (family Chironomidae), with which they are sometimes confused by the casual observer (ref: Wikipedia). 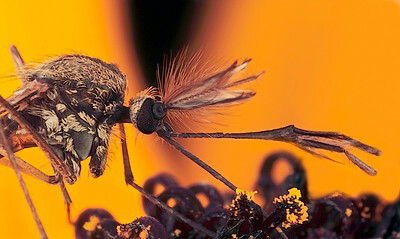 Female mosquito, made with magnification factor 4 and f/14 (7D). 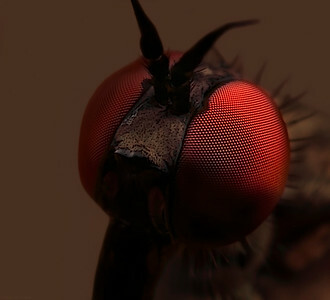 Compound eye large dance fly (Empididae), made with magnification factor 7 and f/9. 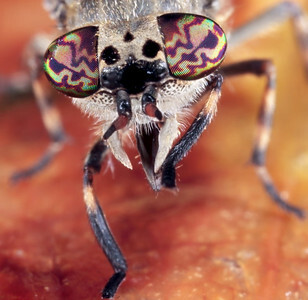 Female common horse fly, made with magnification factor 3 and f/16. There is a small waterdrop on her right eye. 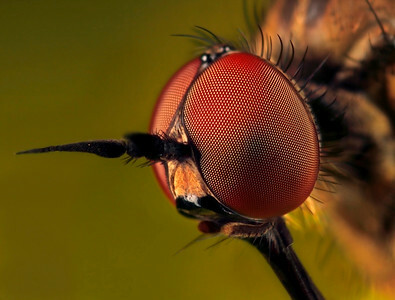 The common horse fly or cleg-fly has an interesting Latin name: Haematopota pluvialis = blooddrinker of the rains (ref: The Garden Safari). Portrait of the spotted crane-fly (Nephrotoma appendiculata). The photo has been made with magnification factor 4 and f/13. Crane flies are a type of fly in the family Tipulidae. Crane flies look like big mosquitoes. 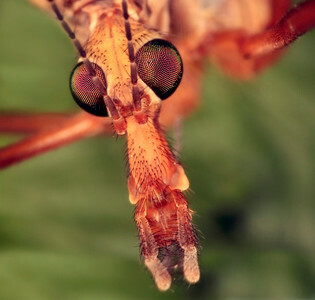 Unlike mosquitoes, crane flies do not bite people or animals (source: Wikipedia). 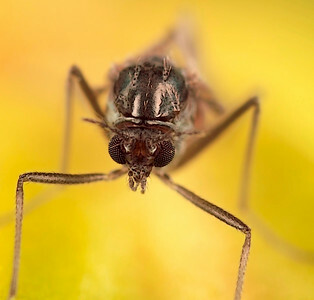 Anisopodidae is a small cosmopolitan family of gnat-like flies known as wood gnats or window-gnats. Frontal view made with magnification factor 8 and f/8. Size estimated around 5 mm. 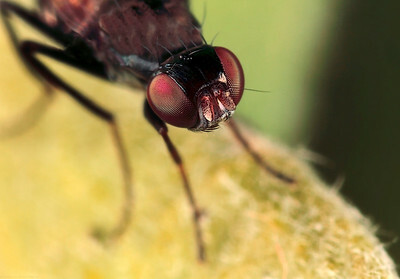 Portrait of black lesser dung fly [Sepsis Fulgens]. Size around 5 mm. Made with magnification 6 and f/11 (7D).